In a rousing public forum on the night before the Codex Alimentarius conference in Berlin in 1998, Dr. Matthias Rath charged the pharma-cartel and their accomplices in politics, media and science with mass murder. With this thunderbolt, the politicians had to acknowledge the “business with disease” and the will of the people. The people spoke clearly, forcefully, and directly. The people wanted freedom. They wanted unlimited access to any health treatment they deemed necessary. They wanted independence from pharmaceutical drugs that kill more than cure. They wanted a government that refused to support an industry based on suffering and dying, and they wanted those responsible to pay for their crimes. Charges against the cartel, the politicians and their accomplices were submitted to the International Court in Den Haag and other courts as well. On September 21, 1998, the first day of the Codex conference, all the delegates of the Codex Alimentarius Commission received transcripts of this tribunal. The immoral and illegal plans of the Codex Commission were illuminated for all participants and all the world to see. 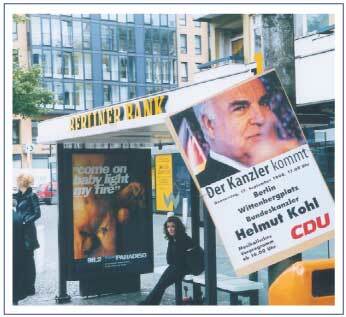 To challenge Dr. Rath, Helmut Kohl scheduled a campaign appearance in Berlin for September 17, 1998. While needless amputations and deaths occur daily, misleading discussions continue about absurd dose restrictions on vitamins. The Berlin tribunal revealed the ugly truth: those who fight for law and justice actually bear responsibility for the global suffering. They now face charges of mass murder and crimes against humanity. Conference locale for the Codex Commission, the “Federal Office for Health-Related Consumer Protection” (BgVV) in Berlin. The pharma-cartel hides from the public behind barbed wire. Transcripts of the tribunal are now available in their entirety on the Internet, on video or in print. A list of the formal charges against the heads of the cartel and leading politicians has become public and official investigations against ex-Chancellor Kohl, ex-Minister of the Interior Kanther and others have commenced. 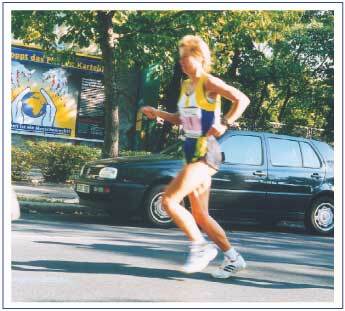 In Berlin, 1200 posters reading “Stop the Pharma Cartel – Health is a Human Right” greeted the Codex members, as well as the 30,000 participants in the Berlin marathon. We ask anyone who has ever had a bad reaction to prescription drugs to come forward and tell their story so the pharmaceutical corporations can be held accountable! 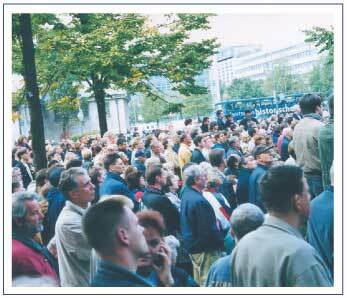 On September 21, 1998, after receiving transcripts of the Berlin tribunal, the international delegates witnessed the massive demonstration for Free Access to Vitamins. The crowd shouted, “Stop the Pharma Cartel! 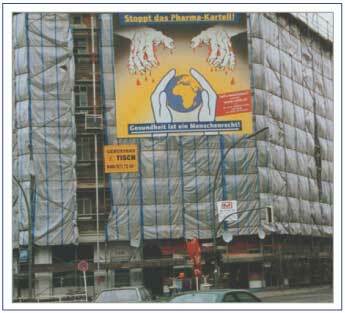 Health is a Human Right!” before the conference building of the Codex Alimentarius Commission in Berlin. A giant poster reading “Stop the Pharma Cartel” was seen daily by thousands of people. The demonstration also clearly marked the division between the politics of the official German Codex delegation and the will of the German people. On behalf of all victims of preventable cardiovascular diseases, the demonstrators loudly denounced the nefarious plans of the pharma-cartel. The delegates to the Commission listened to the demonstrators and after leaving the conference, many disassociated themselves from the dealings of the Commission. 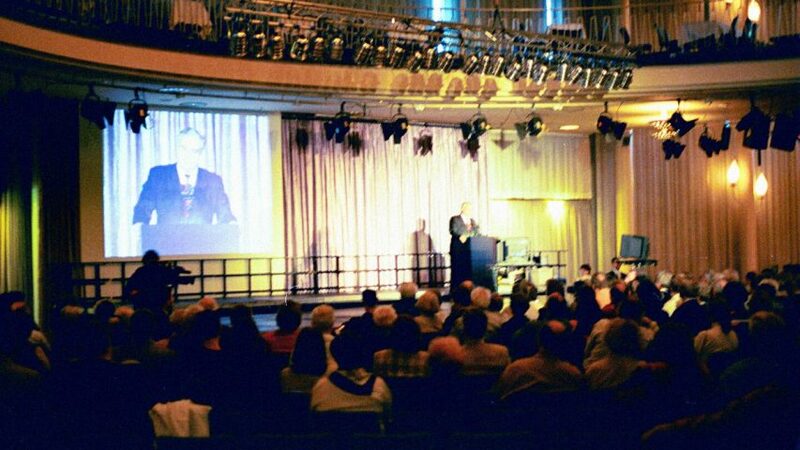 All were amazed that Dr. Rath was forbidden to address the delegates inside the conference hall. 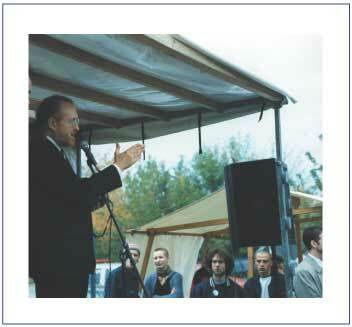 One member of the New Zealand Codex delegation, Gene S. Oden, a non-medical practitioner, greeted the participants in the demonstration and assured them that many delegates of the Codex conference were equally outraged about the plans of the pharmaceutical lobby. “Unfortunately, I don’t speak German, only English. But I am here for the same reason as you are. And as I already stated, we are doing the same thing inside as you are doing outside. You have my full support! Thank you very much. I must say that even our German colleagues – the general practitioners, the internists – are very anxious. We have the impression that something strange is going on here, and that a movement to limit the freedom to make decisions for oneself is being driven from Germany. The false impression that we are getting from the Germans is outrageous. 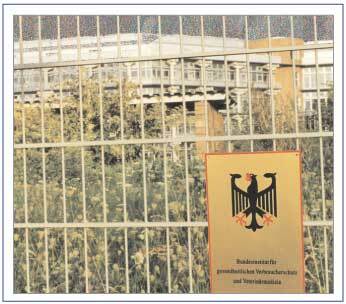 Because the real German people are out here – there is only a handful of bureaucrats inside. I will go back inside and continue the struggle there – and I am glad to see your resistance out here.We must hold our positions. 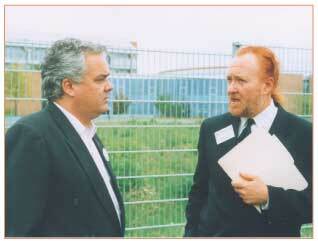 Inside there, the German delegation is acting very treacherously – excuse me for saying that. I mean that they are acting as if they were not those who are driving this suppression of people around the world – but it is exactly so. At one point they [the leaders of the Codex conference during the course of the proceedings] are at Agenda Point 1 – and the next thing you know, they’ve jumped to Point 5. But what happened to Points two, three, four? They’re all past already. Hundreds of police and security officers kept the peace at the demonstration. Three police buses blocked the usually sleepy Diedersdorfer Weg on the south edge of Berlin. Dr. Rath in conversation with Gene S. Oden, the New Zealand member of the Codex Alimentarius Commission, in front of the BgVV. Because of Oden’s outspoken position against the Codex, the German Codex leadership tried to ban him from the conference. The speech by Mr. Oden – an insider in the Codex Commission – will cause even the most skeptical to consider this issue. Immediately stop all plans which hinder the dissemination of vital health information to the people of this earth. You have no moral, ethical or other right to do this. Any other decision represents a crime against human rights, for which you can be held responsible. Do not believe a single word of what the German delegation tells you, for it does not represent the interests of the German people, but rather those of the pharmaceutical cartel. Do not be misled by the term “consumer protection” and the building you are in. People on this earth need no protection from natural vitamins but rather from harmful pharmaceutical preparations and the unscrupulous interests of their manufacturers. A monstrous truck displaying the 100-square-meter “Stop the Pharma Cartel” poster made an undeniable statement against the German Codex plans. Codex member Gene S.Oden denounced the treachery of the German Codex conference leaders. In addition to the demonstrators from Berlin, Hamburg, Bonn and every region of the federal territory, Dr. Rath’s colleagues from Almelo arrived to support the call for free vitamin access. Over the course of the demonstration, many patients gave testimony about vitamins improving their health. They also addressed the health threats posed by the Codex plans of the pharma-cartel. Dr. Rath addressed the delegates meeting behind the glass façade of the building and urged them to abandon the unethical plans of the German delegation. Even Dr. Aleksandra Niedzwiecki, who participated in the programs pioneering vitamin therapy, spoke to the delegates and presented the statistics regarding the side effects and deaths caused by pharmaceutical medications. These side effects have become the fourth most common cause of death. Never has there been a single case of death caused by vitamins – yet an entire conference was meeting to protect the public from the alleged dangers of vitamins! A resolution to grant the pharma-cartel’s wishes was defeated at the Codex conference in October of 1998. Due to protests from numerous commission members, the proposed censorship of information about natural healing methods was frozen at Stage Four (deliberations) in the eight-stage process. The demonstrations at the Codex Commission showed what a group of determined people could do. At the closing press conference on Friday, the delegations from Japan, Australia, Holland, and in part, the USA and Canada, showed great opposition against the German guidelines for regulating supplements. Second only to the 1994 Free Access to Vitamins Act in the U.S.A., the demonstration in Berlin advanced the freedom that the seemingly all-powerful pharmaceuticals industry would like to destroy. In light of the pharmaceutical cartel’s original plot to regulate all vitamins, the “freezing” of its Codex plans was an important step. But the pharma-cartel did not surrender. At the final press conference on 9/26/99, the head of Codex Rolf Grossklaus defiantly announced that they would try to reach their goals with the help of a new Codex model for the European Union. Since then, highly paid bureaucrats – financed by our tax dollars – have been working within the EU to sell the “business with diseases” to the Codex delegates in June 2000. Some of the delegates’ comments from the Codex meeting of October 1998 are documented in the following. These documents demonstrate impressively how absurd this sham discussion is, when all participants know what it is really about: the pharma cartel retaining its power. Great Britain: “The United Kingdom recommends … not setting any upper limit for vitamins and minerals, insofar as this is not necessary for reasons of safety. Furthermore, it is inappropriate to set upper limits which are based on an arbitrary multiple of the RDA [Recommended Daily Allowance] (or one that corresponds to this value) for healthy persons. Although the report [the recommendation from the German delegation, i.e., the pharmaceutical lobby] recognizes that patients who use nutrients for particular medical purposes may suffer a nutritional deficiency, this is not reflected in the recommended upper limits. Furthermore, some patients will have an increased requirement in nutrients due to the illness. The current recommendations would prevent manufacture of numerous products, especially such foods which simplify nutritional supplementation. Research (Baldwin C. and Elias M., Nutrient deficiencies during home enteral tube feeding) has demonstrated that chronically ill patients who receive nutritional products in which the nutrient values are higher than those recommended in the report, still demonstrate nutritional deficiencies, especially with regard to vitamins C and D and thiamine. Denmark: “Vitamin and mineral supplements should have a maximum value of 100% of the recommended daily intake, or the estimated safe and adequate daily supply in the daily dose for each included nutrient.” — This would mean that only 65 mg of vitamin C would be allowed per day! The Canadian delegation, supported by that of the USA, vehemently opposed further work on these guidelines, as this would limit the trade in products which help many consumers, as new scientific evidence proves. Today’s diets frequently do not adequately supply certain population groups with essential nutrients. Many consumers claim the supply of vitamins as a right, so products without health risks should be freely obtainable. In addition, the delegation emphasized that, as the attitude of consumers is very different from one country to another, regulation of nutritional supplements should be left to national authorities. 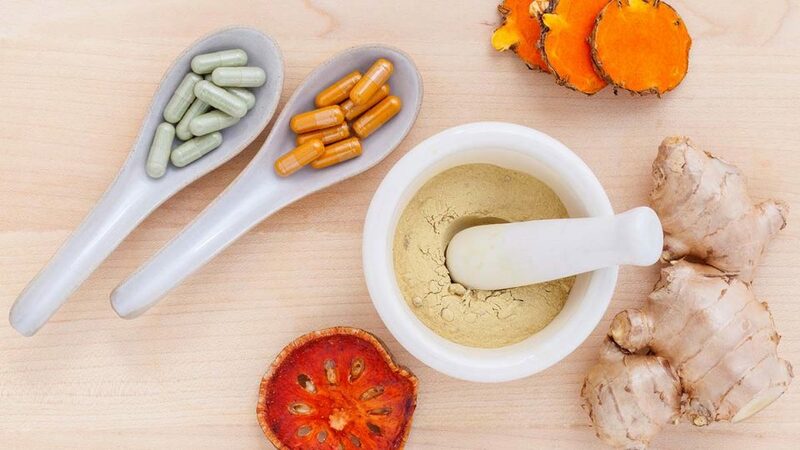 EU observers said that a paper was prepared by an EU body on questions of nutritional supplements, in which the problems and background are analyzed objectively. The committee decided that before continuing deliberations on the basis of this paper from Canada, the USA, and the EU, a working paper should be created. Please realize that the positions of the individual countries may have changed in the meantime due to pressure from the pharmaceutical cartel.